Gather all of your SEO information in one place. See the big picture of your website's SEO and make your seo process efficient. Track your progress and automate the tedious SEO work. Track your site's presence on Facebook. Any likes, shares or comments about your website will show here. See you historical progress on facebook. Track your site's mentions of Twitter. We track any mention of your site, even if this is through a shortened URL. 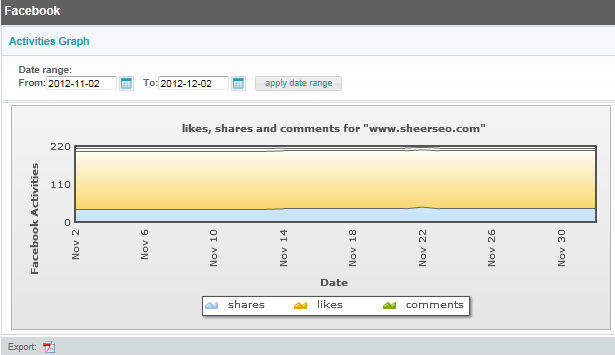 We show both information regarding each tweet and the historical trends of how many tweets you had over time.